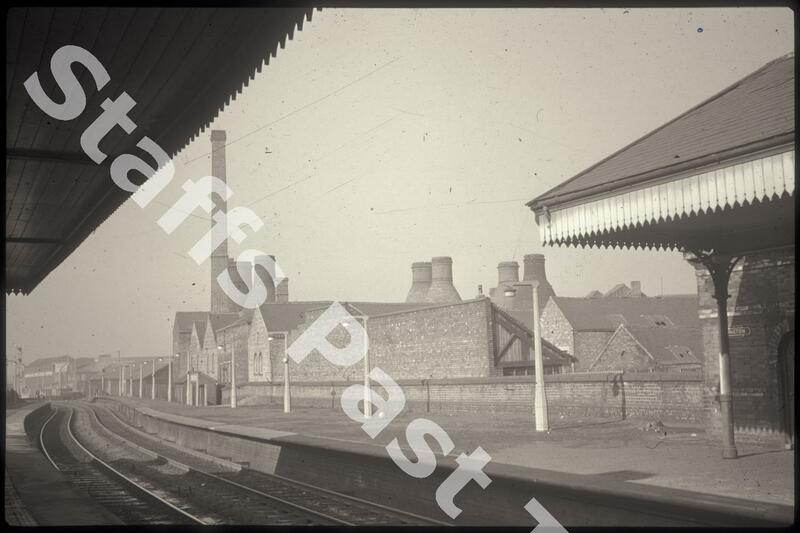 Description:The Phoenix Pottery Works seen from the platform of Longton Station, looking west towards Fenton. Phoenix Pottery was operated by Thomas Forester, specialising in majolica, from the 1880s. The chimney and ovens next to the line were part of the Albion Works. Beyond is the rear of the Boundary Works. Opened in April 1848 as part of the North Staffordshire Railway the station is on the Stoke to Derby line. Historically, the next station towards Stoke was Fenton and towards Derby, Normacot. The platform buildings and roofs have been demolished.